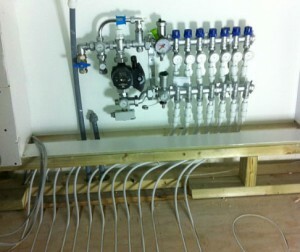 We can cater for a full system design and installation from scratch. Existing system upgrades keeping and adapting existing parts of your systems. 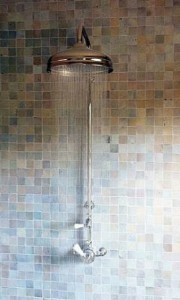 Or just carry out small repairs and leaks including servicing and maintenance. 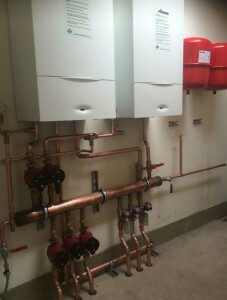 We design and install modern heating systems from standard pumped two-pipe systems to luxurious under-floor heating solutions. 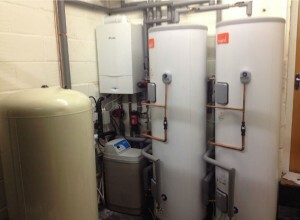 We also service and maintain these systems as well as older one-pipe and gravity fed systems. 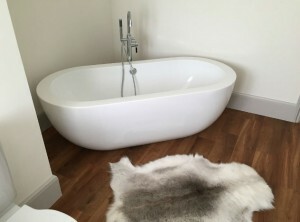 Aquatech are trusted experts in creating beautiful and efficient bathrooms, and advising you on the products which will transform a tired old bathroom into something new, cost-effective, environmentally friendly, and streamlined. Plumbing & Heating emergencies don’t have to be a disaster. With the best plumbing expertise and a fast response time many issues can be averted. Get help from our team of dedicated and qualified plumbers who are available help you with your plumbing emergency. "I walk into our en-suite, it truly feels like the boutique hotel, chic style I was aiming for!" 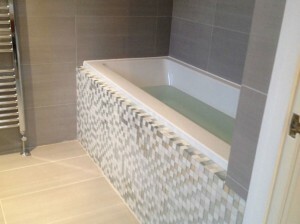 Aquatech is a local, experienced bathroom design and plumbing installation company in Bishop’s Stortford, Stansted, Mountfitchet and surrounding villages. They are dedicated to providing exceptional designs for luxurious, contemporary and classic bathrooms to suit your lifestyle and home décor. In addition, they can turn your existing central heating system into a functional, energy efficient one with a modern design. 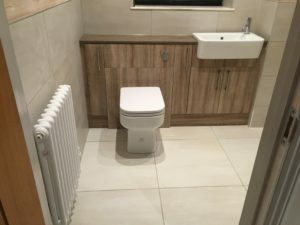 Their team of designers and professional plumbers, engineers and tradesmen are experienced with both private homeowners and commercial clients in these parts. It means too that they understand the busy lives of people living and working in commuter towns and the importance of tailoring the work to suit. 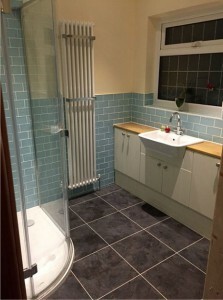 Although, they were first established as a plumbing company, they still offer a more traditional maintenance service for any plumbing and heating or boiler repairs, in addition the being bathroom specialists. Each job is carefully considered and Aquatech staff are flexible in the way work is planned. They work closely with clients every step of the way, to achieve the desired results. 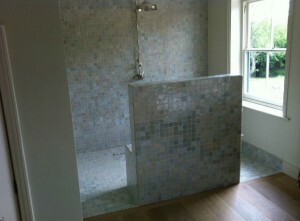 If preferred, they will take responsibility for the entire project, leaving the client stress free. 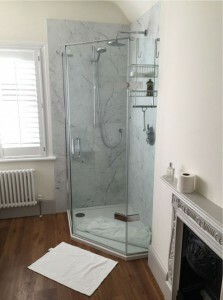 Either way they ensure that the plumbers and tradesmen work with minimal disruption to the client’s schedule and they take utmost care to keep the structure of building and furnishings intact. 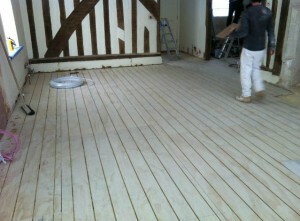 They are committed to ensuring every job is completed to the customer’s satisfaction. From an ingenious plumbing solution or a bespoke bathroom design, to a malfunctioning boiler or a leaking tap – they are dedicated to delivering quality service and products every time. 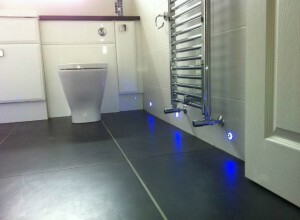 Aquatech believe in both aesthetics and function, and combined with their reliable maintenance service, it is the best local choice for Bishop’s Stortford and Stansted. 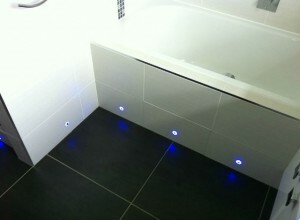 The majority of their clients chose Aquatech based on previous referrals, which are shared on their testimonials page. 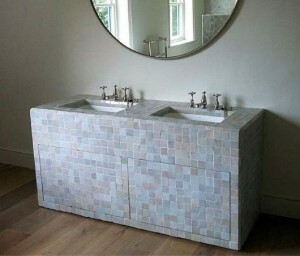 Our client in Bishops Stortford requested a refurbishment of their cloakroom with the emphasis on storage. 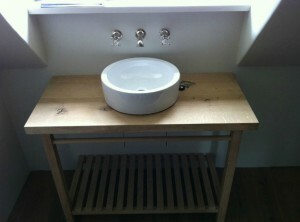 We opted for a slim line furniture with a Corian surface keeping it in proportion to the size of the room.